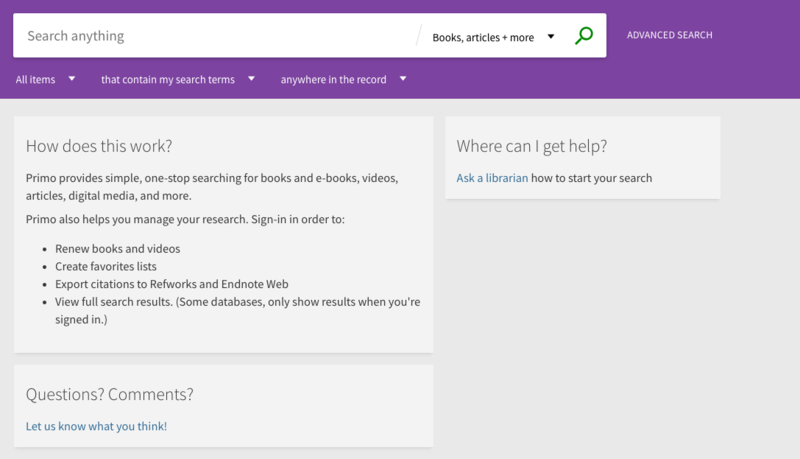 From the K-State Libraries home page, www.lib.k-state.edu, click Databases. 2) Review your criteria for a project or assignment BEFORE you start researching your topic in the database. For example, you are asked to find 10 primary, academic, recent sources. The sources must report on a study (i.e., they should not be simply about describing a theory, but should have methods and results sections). Note these requirements, since advanced searching has tools for meeting them. 4) Add search vocabulary. Follow steps 3a-d for filling search windows from 7 steps to Search It box of this guide. TIP: A word phrase in quotes captures phrases in this database, the way is(exact) does in Search It. Try "research methods" with TX: All Text to search the whole text of an article, not just the citation and abstract.. An alternative (OR) term is "Methodology". EBSCO, the vendor for this database, offers similar search features to Search It, but with different names and placement. Locate the Publication Date and the Scholarly (Peer Reviewed) Journals Limits. You can sort the results list by most recent date. 5) If you open a citation that seems to be an excellent source for your work, you can look up earlier articles its author(s) cited in the reference list. Click Cited References to the left, where the number is given in parentheses. 6) The mirror image of this is investigating who later cited the article (or the authors) you found it in their reference lists. In this case, click on EBSCO's Cited References feature located at the top of the screen. Cut and paste the original article title into the Cited Title: box. Citing Articles refers to the later articles that referred to the original one you found. Cited References refers to the earlier article the original one used in its reference list. If you need help with this or other search methods consult Ask A Librarian (by chat, email, phone, walk-in, or personal appointment).